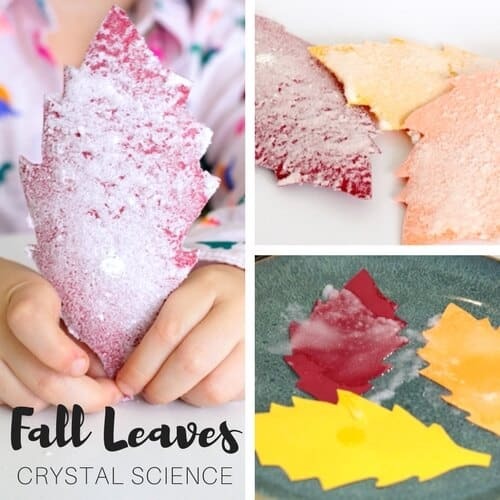 Fall Science Activities Fall and STEM Challenges for Kids! Fall science activities and STEM challenges perfect for multiple age groups to enjoy and learn something from as well! Whether you choose to erupt an apple, launch candy corn, play with candy, or turn a pumpkin into a geo board, there is a fun Fall science or STEM activity for everyone. These engaging, hands on fall science activities and STEM challenges invite your kids to explore, test, think, observe, and discover! If you are looking to learn more about STEM or science, technology, engineering, and math, check out our awesome STEM resource for parents and teachers. Want to learn how to incorporate Next Generation Science and Standards (NGSS) and STEM? Click here to learn more. Click on the links in blue to find AMAZING fall science activities and STEM challenges perfect for sharing with kids. Our science experiments, activities, and STEM projects always use easy to find materials and are usually easy to set up. 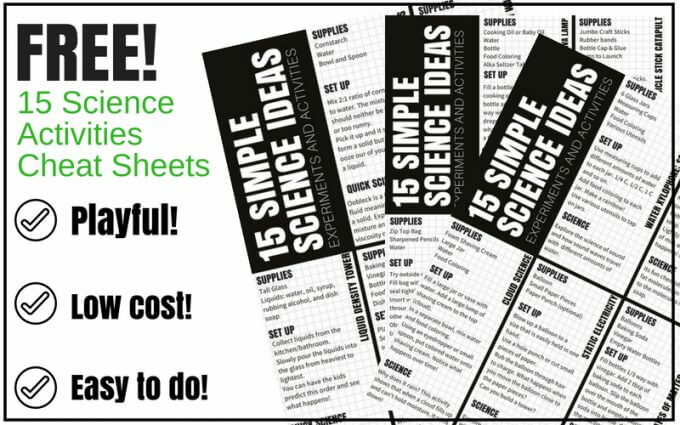 At the bottom of this page find our FREE Science Activity Idea Cheat Sheets. Take our basic science activities and reinvent them with fall themes for seasonal learning. We love theme science because kids love the novelty of seasons and holidays. This just makes learning fun! 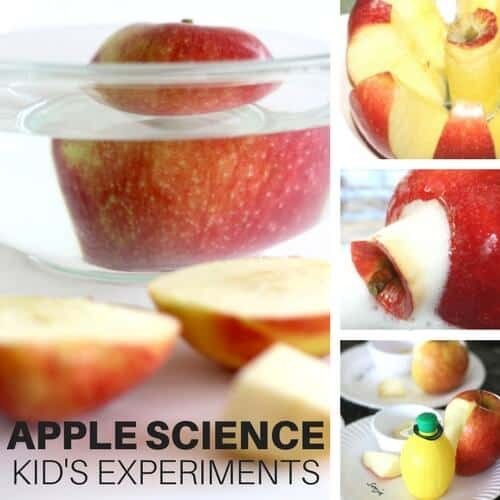 Take an apple taste test, learn the parts of an apple, and find out why apples turn brown with simple apple science activities! Do apples float? Learn how to grow salt crystals for a science and craft all in one! Baking soda science is so much fun and always on hand in our house. What can you build with basic bricks? Terrific, hands-on science, math, and sensory play for kids. Candy is not only yummy, it’s educational too. If you have to much candy this time of year, try these ideas! 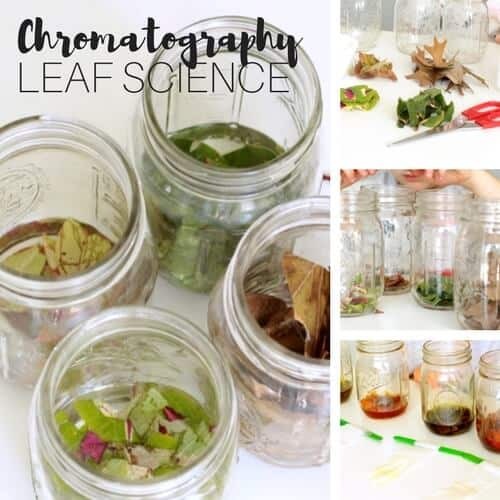 Explore chromatography with leaves from your back yard! Can you build a pumpkin tunnel and make a fly through it? 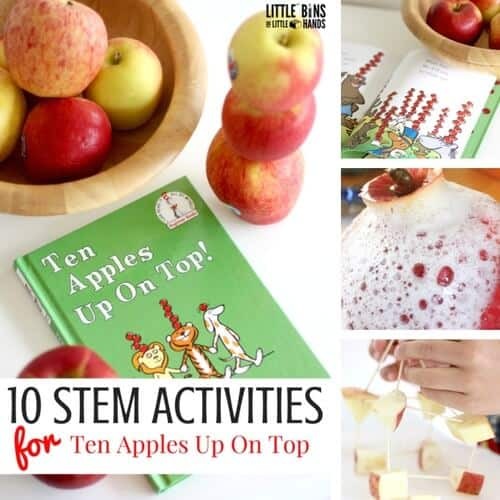 Great STEM activities with real apples to go along with a favorite Dr. Seuss book. 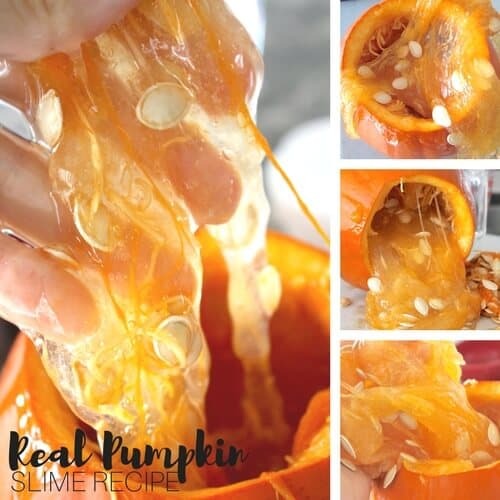 Make our classic slime right inside a pumpkin for cool chemistry. Pumpkin guts and all! launch candy corn with homemade catapults! Only 2 items needed for an afternoon of engineering! Super creative way to combine math and engineering skills with a twist! Grow crystals and learn about suspension science. Aren’t they beautiful. 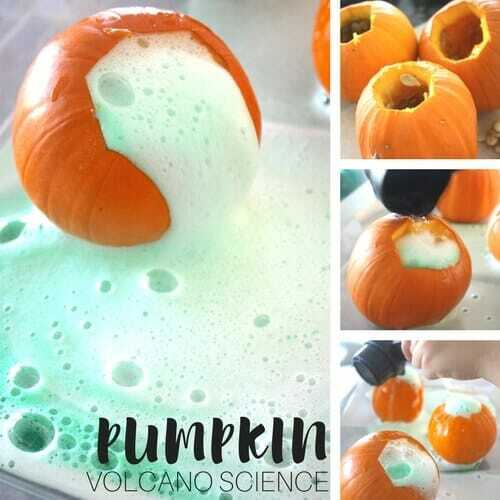 Super cool fall science activities that are sure to be a hit this season! 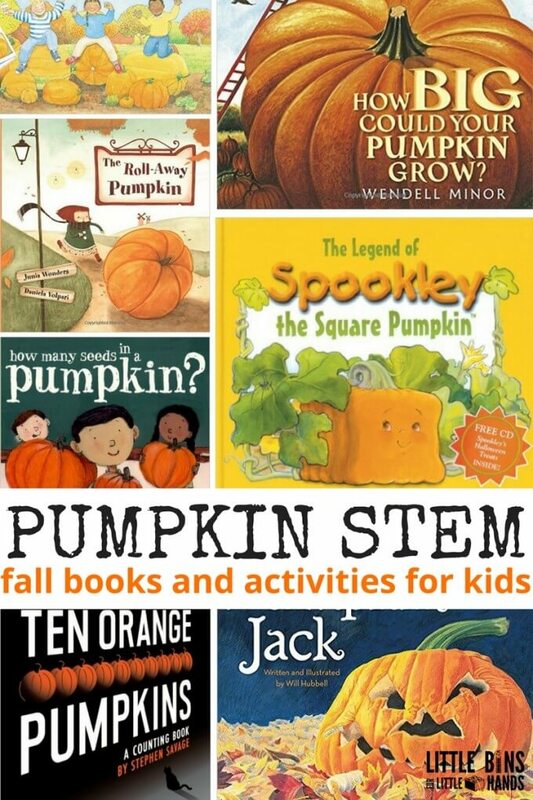 We have also paired some of our favorite fall themed books with awesome STEM activities and science experiments for fall. NEW! 5 Day STEM Challenge Starter Pack! Loving that geo-pumpkin! What a fun twist on a geoboard! What fun! I really enjoyed your top 10 for fall!